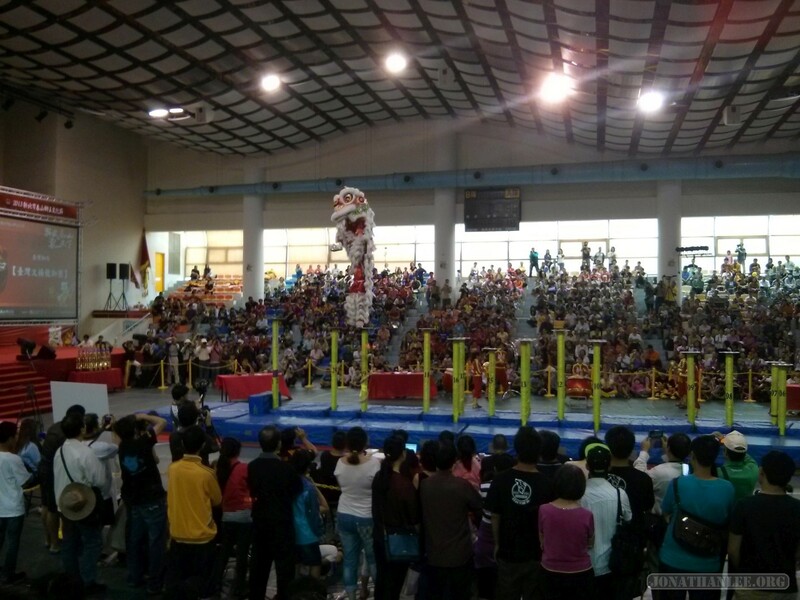 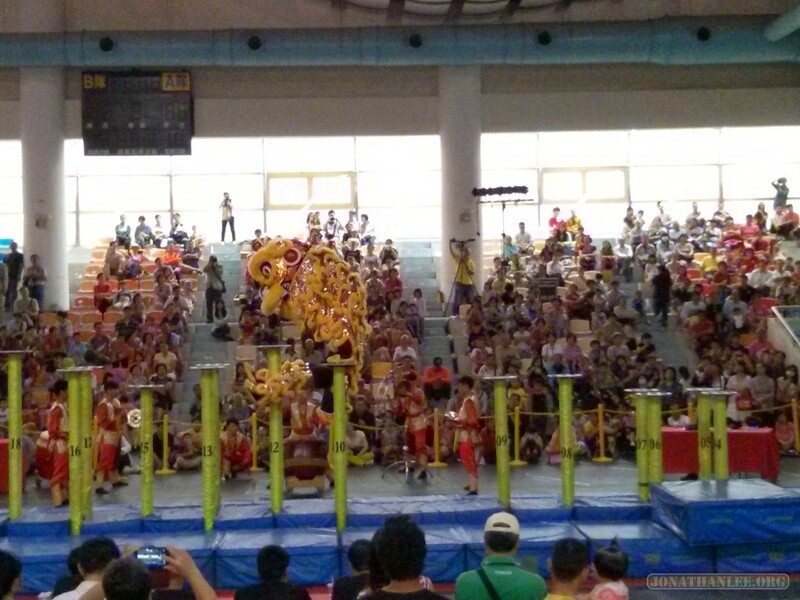 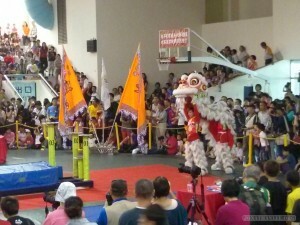 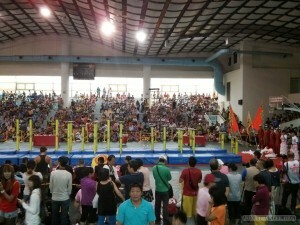 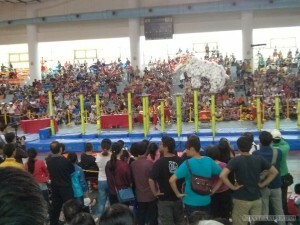 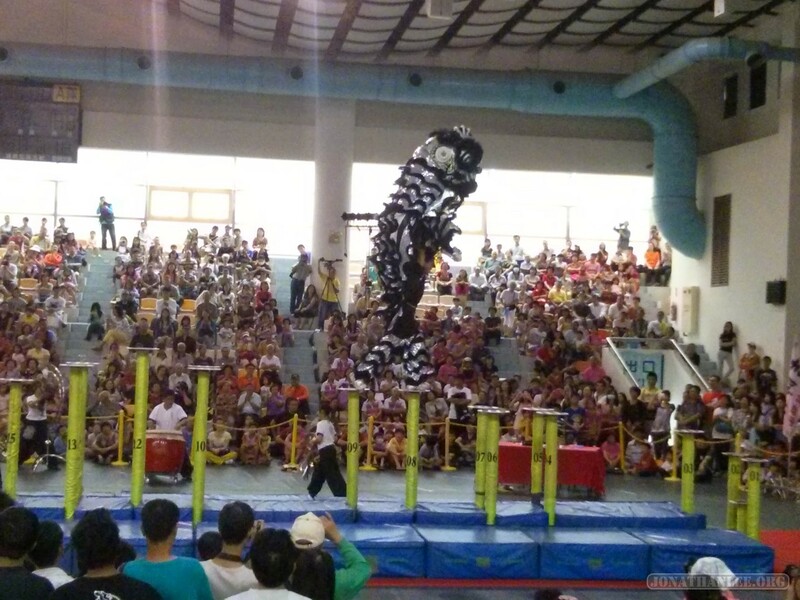 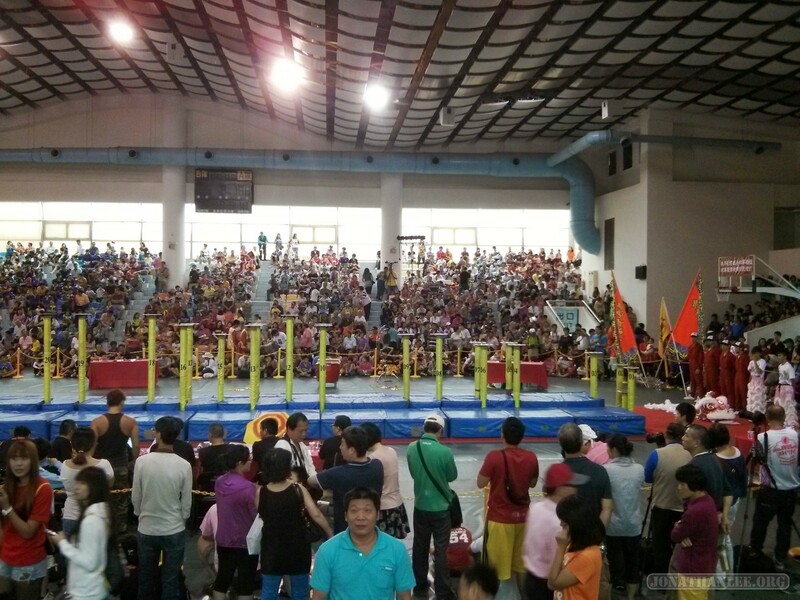 For this competition, a special stage was erected – tall platforms, rising up from the ground, which the lion dance performers would jump back and forth on. 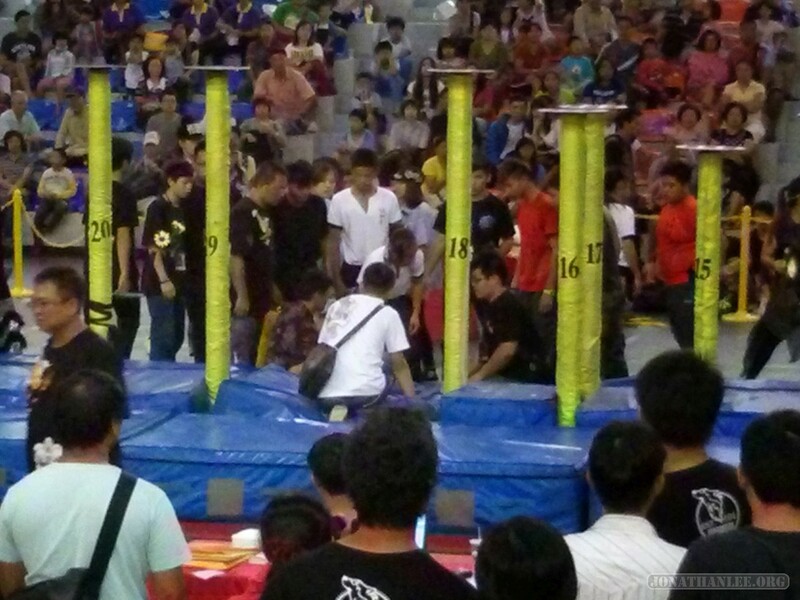 To be safe, there were also cushions below the platforms, poised to break any unfortunate falls. 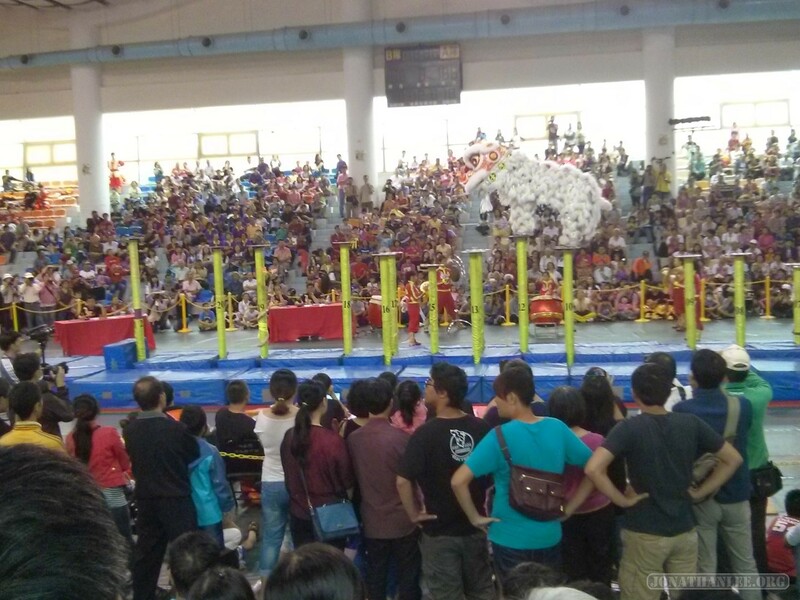 It actually looks quite daunting – I certainly would not choose to be jumping up there, especially while wearing silly pants and a lion costume. 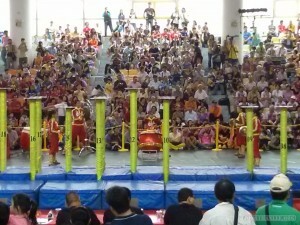 Each of the performances played out similarly. 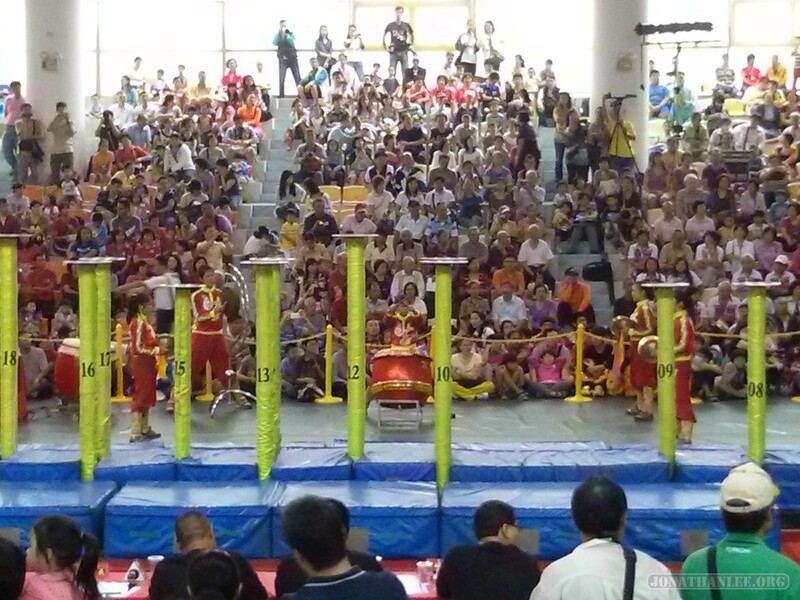 You’ve got a team of 7 – two to actually dance, and five to man the drums and provide music to dance to. 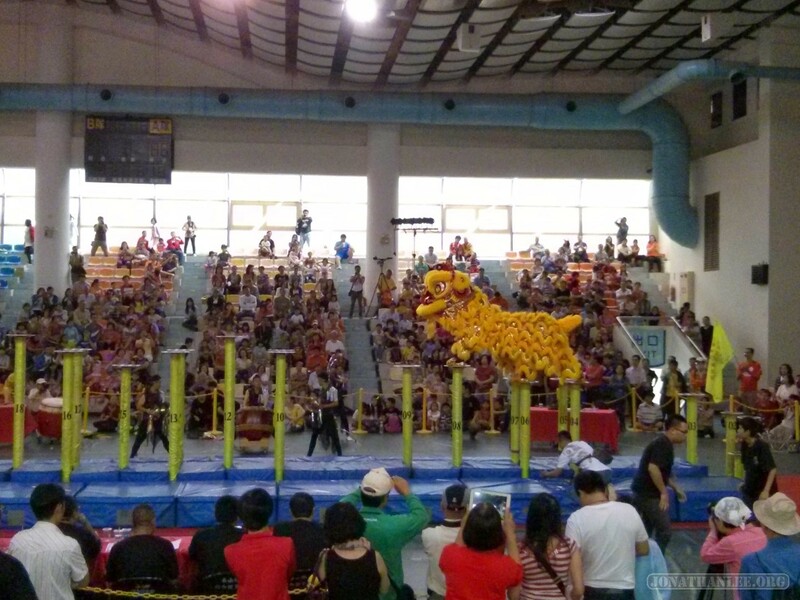 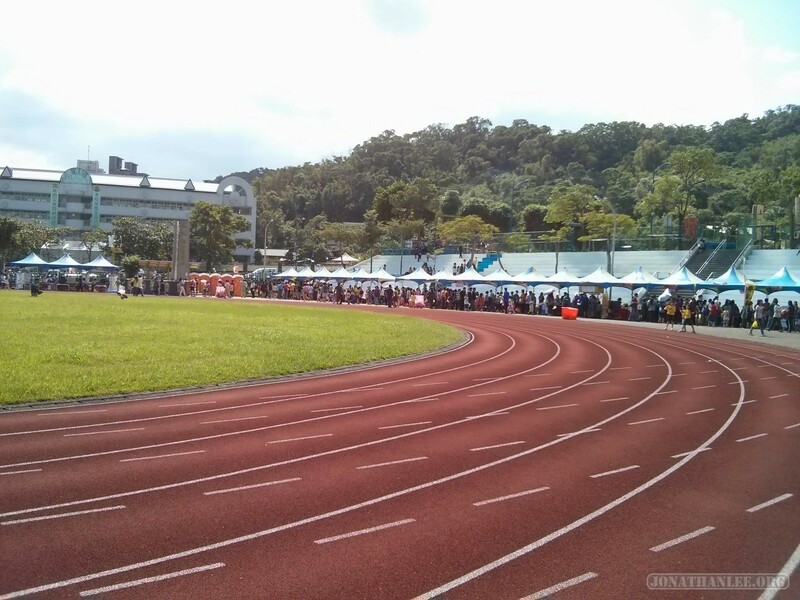 Unfortunately, lion dance is truly a risky sport – one wrong move, one wrong step, and you come tumbling down. This unlucky pair slipped, fell, and hit the floor at a gap in the cushions. 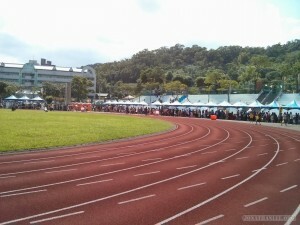 An ambulance had to be called. Lion dance is serious business. 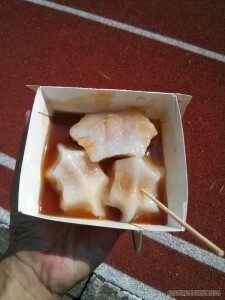 On a brighter note, refreshments!